Rising star candidate Pete Buttigieg has officially launched his campaign to be selected as the Democratic nominee for President of the United States this week. Buttigieg kicked off his campaign in South Bend, Indiana on Sunday, where he has been Mayor for eight years. If elected, Buttigieg will become the youngest and the first gay President of the United States. Buttigieg is also the first openly LGBTI+ person to announce their candidacy, and his spouse Chasten would be America’s first First Husband. Mayor Pete will be up against a number of candidates to become the Democrats pick as the opponent for sitting President Donald Trump in the 2020 election, including veterans Bernie Sanders and Elizabeth Warren, former musician Beto O’Rourke and Senators Kamala Harris and Cory Booker. “My name is Pete Buttigieg. They call me Mayor Pete. 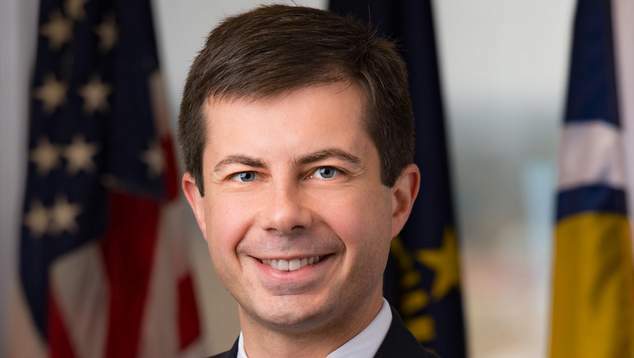 I’m a proud son of South Bend, Indiana, and I am running for president of the United States,” Buttigieg said at the launch event. Buttigieg is currently polling well as preferred Democratic candidate, jumping to third place from the bottom. The Mayor is led by Vermont Senator Bernie Sanders in first place, and former Vice President Joe Biden in second.